TO BOOK FOR TONIGHT PLEASE GIVE US A CALL ON (07) 5442 9186 OR EMAIL sales@montvillegrove.com.au. Our booking system won't process a same-day booking but we'd love to hear from you. 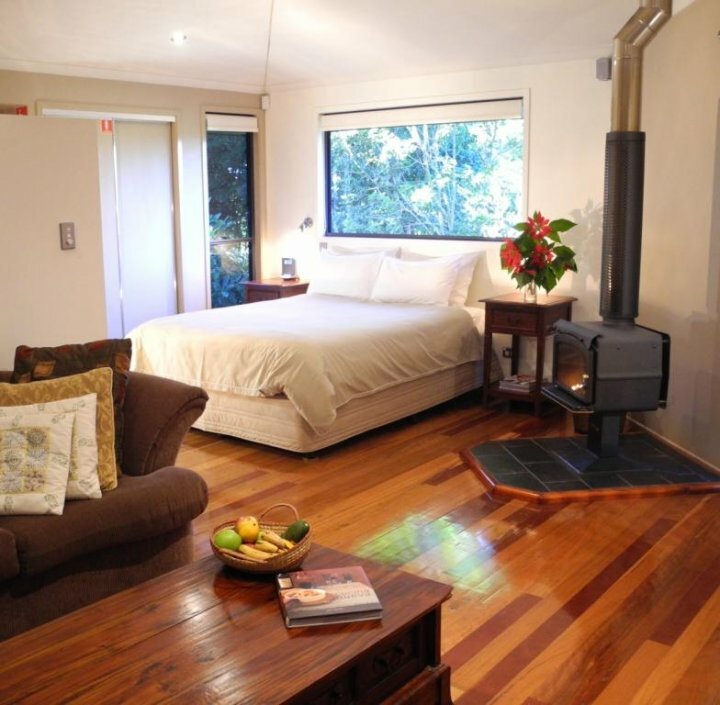 Choose from three beautiful cottages, all peaceful and private in a rainforest setting. All cottages are fully self contained with a barbecue and kitchen facilities, flat-screen TV and DVD, spa, fireplace and air-conditioning. 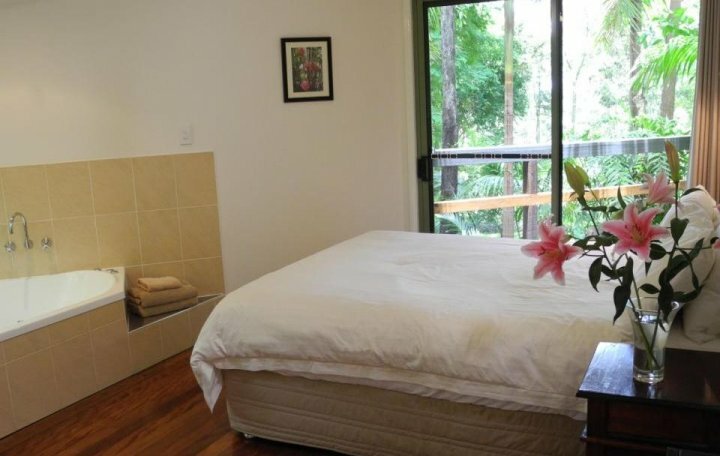 Montville Grove cottages have everything you need for a relaxing getaway in Montville. This Montville cottage is perfect for lazy afternoons on the deck. 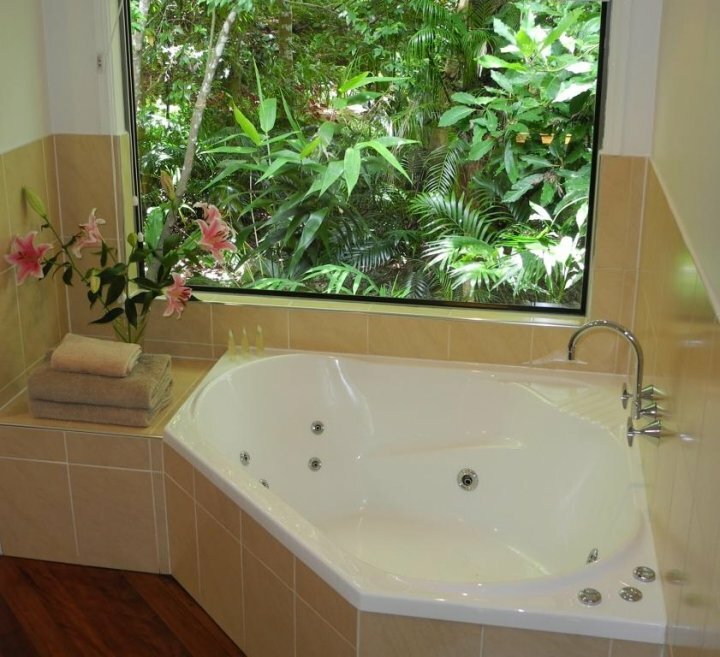 It has a BBQ, deck, air conditioning, kitchen facilities, spa and log fire, double shower in bathroom, flat-screen TV, CD/DVD player, DVDs and an iPod dock. Rates are for 2. Maximum occupancy is 2. 1 queen bed. 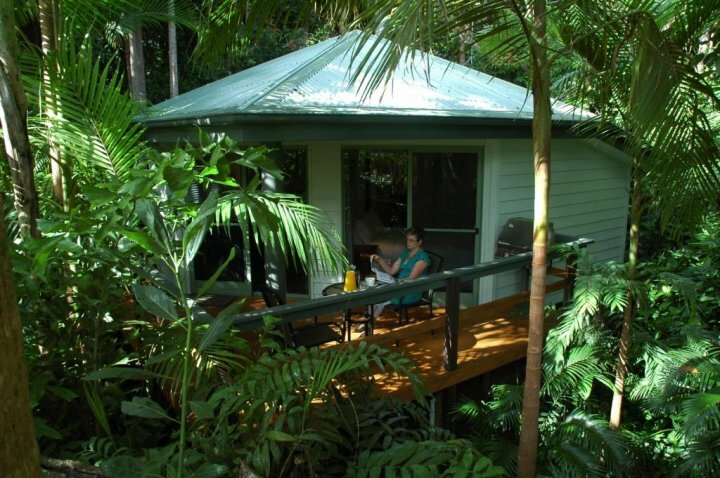 Peaceful and private Montville accommodation with spa, reverse-cycle air-conditioning , BBQ on the deck, kitchen facilities, log fire, iPod dock, flat-screen TV, CD/DVD player, DVDs supplied. All of this AND a breakfast hamper as well! Rates are for 2. Maximum occupancy is 2. Bedding configuration is 1 queen bed. 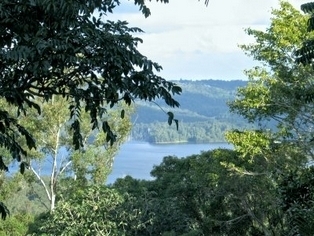 A beautiful cottage with Montville's most spectacular lake view from the spa and the deck. 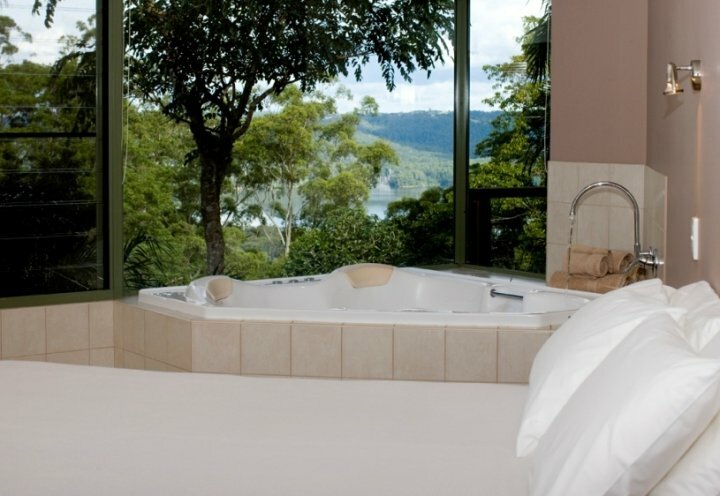 Perfect accommodation for a romantic escapes. Not available, couples only accommodation. Off-street car park is provided. From Brisbane take the Bruce Hwy and exit at Steve Irwin Way/Glasshouse Mountains Exit. Continue past Australia Zoo then take Landsborough exit. Follow signs for Maleny, take Montville turn-off to the right. When entering Montville turn left into Western Avenue. We are located on the corner of Western Ave and Narrows Road, tucked behind the white picket fence. 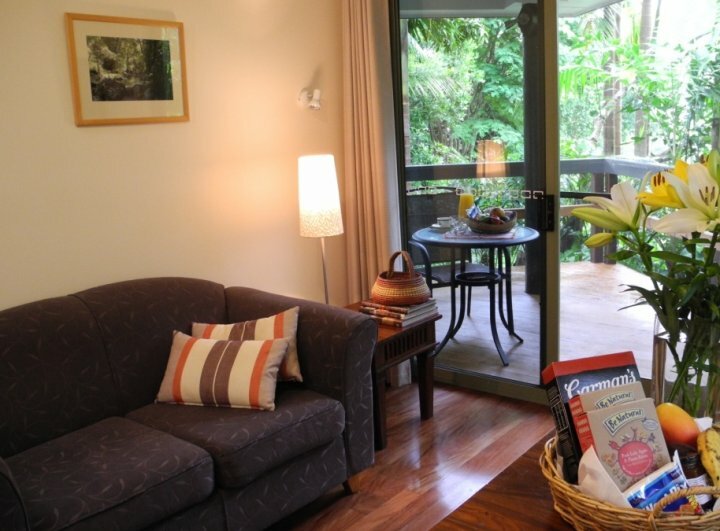 Great shopping, cafes and restaurants in Montville, Maleny, Mapleton and Flaxton.